In October 1997 Browns Pharmacy was opened in Canton Pennsylvania. After many years of serving the Canton area and growing bigger than expected it was time to open another store. This store was opened in Troy Pennsylvania, February 2006. 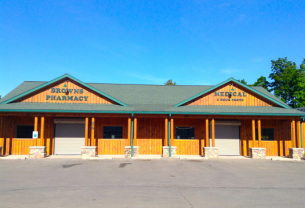 Browns Pharmacy is locally owned and operated by Pharmacist John Brown. Both our pharmacies are handicap accessible with off-street parking. Browns pharmacy is proud to offer in-store Kodak photo services and the Pennsylvania Lottery.